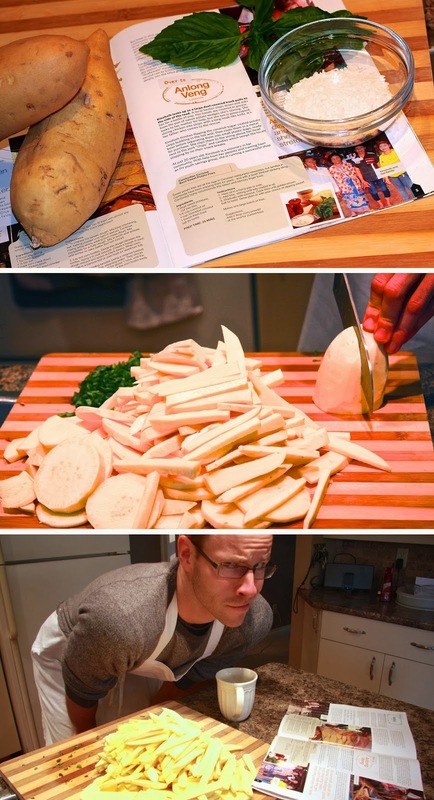 The Food for the Hungry Chef Team Extraordinaire is back again... this time tackling a new Cambodian recipe: Sweet Potato Fries (coconut style). Trust me, if we can do it... you can too! I first learned about these traditional finger licking treats on a visit to Anlong Veng, Camobodia, where I met Kinohoi, a 20 year old visionary and entrepreneur. After tasting the hot fries sold from her roadside stand I was not surprised to hear how they kept locals coming back for more. Warning: Try this recipe at home and you will have plenty of neighbourhood children (and most likely a few grown up kids too) lingering outside your kitchen window. Kinohoih, was kind enough to share her 'secret' recipe with us. 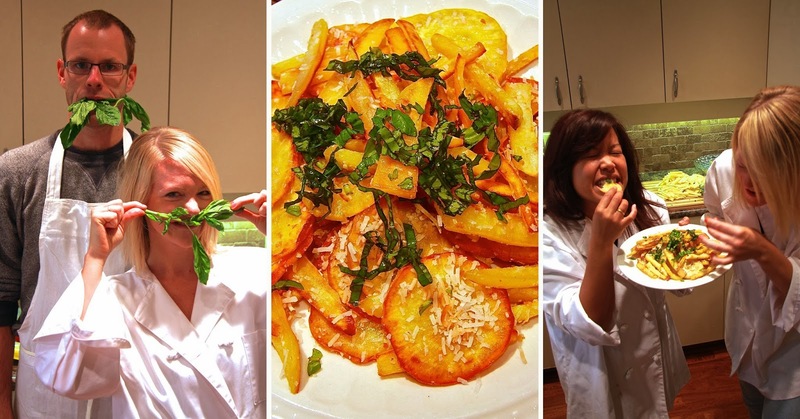 It is a recipe that has boosted her income as well as her confidence as a business woman. To read more about Kinohoih's story and how she has become a role model in her community, check out the Fall/Winter issue of FH's Hope Notes. With our aprons tied and sleeves rolled up, the three of us went to work. We were a bit nervous to hand over the rather large chopping knife to Mike, but Christine and I decided that this was a man's job. After a peeling, slicing and dicing four gigantic potatoes Mike took a second look at the recipe and realized his arms were sore for good reason. Oops, I guess we only needed two potatoes! 1. Heat oil in a frying pan or wok. 2. Add fries, stirring until fully coated in oil. 3. Gradually add coconut. Cook fries until golden brown. 4. Salt to taste. Serve plain or with your choice of dipping sauce! Christine handled the hot wok, bubbling with coconut oil and sizzling fries while I chopped up some fresh basil. We tossed the sliced, now crispy potato wedges in with the shredded coconut and basil, ending up with a beautiful pile of fries that were warm, crunchy and had a nice salty/sweet flare to them. Try the recipe out for yourself and see what you think!